Whether it’s a missing o-ring, a wetsuit tear, or a broken fin strap, the Equipment Specialist course will teach you to manage basic repairs and adjustments. You’ll also learn more about how your gear works, thereby making you more comfortable with it and better prepared to take care of your investment. If you’re at least 10 years old and certified as a Scuba Diver or higher, you can enroll in the Equipment Specialist course. This class is typically held in one day and there are no pool or open water dives required for this Specialty. You’ll learn about routine care and maintenance procedures as well as scuba equipment storage recommendations. I will show you how to overcome some common equipment problems, offer equipment configuration suggestions, and together we will construct a Save-A-Dive kit for your use after the course. 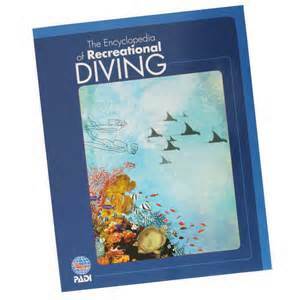 Although not required, you may want to obtain The Encyclopedia of Recreational Diving to use as a reference during the course. It’s also helpful to have on hand manufacturer manuals for the gear that you’ve purchased or intend to purchase. You will need to bring your basic scuba equipment to class, and I will have some examples of other dive gear for you to work with during training.